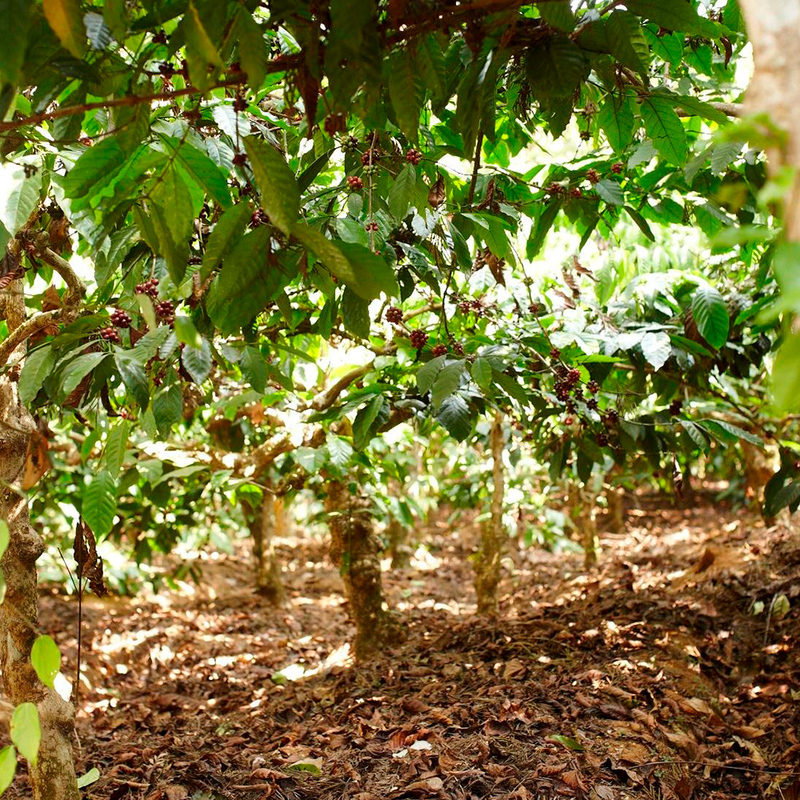 There are two main methods used to take the coffee cherries from the tree: stripping and picking. In Brazil where coffee is ripe in the winter, the berries are stripped from the branch. Then, these are laid out to dry for 3 to 5 weeks. Stripping can either be done by hand or machine. When cultivating high-grown coffee crops, it is often impossible to navigate machinery to these areas high up the mountains, so cherry harvesting is done by hand. The coffee berries have been traditionally picked by hand, which allows the picker to only select the cherries that have reached a bright red ripeness. As coffee berries are perishable, they need to be processed quickly after the harvest. First, the two coffee beans that are contained in each coffee berry need to be separated from the fruit flesh. Then, the beans are washed, dried and sorted according to quality and size. Ripe cherries have several layers; red skin, a sweet light pulp, a membrane called “parchment skin” or pergamino, and an inner thin membrane called “silver skin." These layers must be removed prior to roasting, though some silver skin often remains attached. Each cherry has two green coffee seeds that are round/oval in shape and are flat on one side with a center cut. While most coffee cherries contain two beans, 5 to 10% of the time, only one bean is produced in the cherry. This is called a "peaberry." 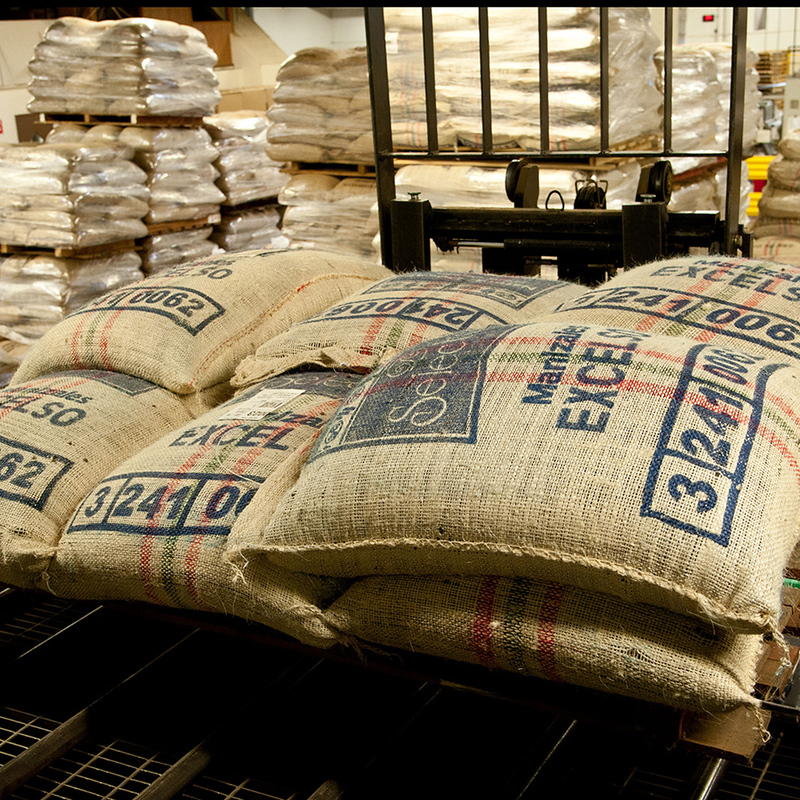 The unroasted coffee beans usually arrive in Cherry Hill, New Jersey by ship and freight. Here, they are cleaned again and the quality is carefully inspected. For our Melitta coffees, coffees from various countries are mixed with one another, in order to achieve consistent quality. The final flavor is given to the coffee by the time-honored fire roasting techniques we use at our roaster in Cherry Hill, New Jersey. Through the roasting, the coffee bean decreases in weight as moisture is evaporated and increases in volume. The color of the coffee bean also changes from light beige-green to the familiar dark brown. The roasting ensures the discharge of oils and formation of aroma. For example, the beans for our Classic Blend are roasted particularly slowly and gently, so that the aroma is less acidic, thereby producing a rounder flavor. The hotter the beans are roasted, the more aromatic and stronger the coffee tastes. Coffee beans are not always roasted the same – a distinction is made between various degrees of roasting. With a light roast, the experts refer to a cinnamon roast, while a medium roast is described as an American roast. The darkest roast is called the espresso roast or also Italian roast. Our Blanc et Noir is an intriguing harmony of light and dark roasted beans. After roasting, our coffee is packed air-tight. Our bags and cans are fitted with an aroma protection valve, which allows excess air to escape from the packaging and prevents outside air from coming in. This way the full aroma and flavor are locked in.